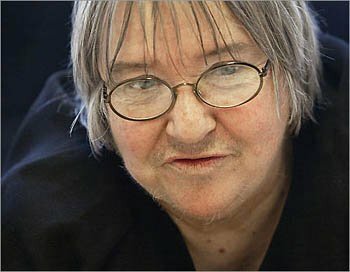 Lynne Stewart is the lawyer that represented the blind shiek, Omar – the mastermind of the first World Trade Center bombing and plan to blow up the Lincoln and Holland Tunnels. She was convicted on charges of facilitating support for a foreign terrorist organization. She illegally passed messages from her jailed terrorist client to his followers in the Islamic terror group Gama’a al-Islamiyya. Justice has prevailed and the disbarred lawyer is going to jail for 28 months. Lynne was a member of the National Lawyers Guild. They are the group of lawyers that the terrorists have on speed-dial. The Killeen,Texas muslim terrorist, Nidal Malik Hasan, will also be represented by a member of the National Lawyers Guild. During the Great Depression, the National Lawyers Guild was founded as an alternative to the, then, all white American Bar Association. Future Supreme Court Justices, New Deal supporters, civil libertarians, as well as communists were among its earliest members. Early on, the NLG underwent great internal dissension that profoundly affected its future. After it took a sharp turn toward communist doctrine, half of it’s members left the organization. During the early 60’s, as a means of acquiring new members, the Guild focused it’s efforts on fighting for civil right for black Americans. During riots at the Chicago Democratic Convention in 1968, they defended the members of the militant Black Panther Party when they got arrested. Guild founding member David Freedman pushed socialism and Victor Rabinowitz, Guild President from 1967-1970, advocated communism. The National Lawyers Guild began to see a real potential for socialist/communist revolution. 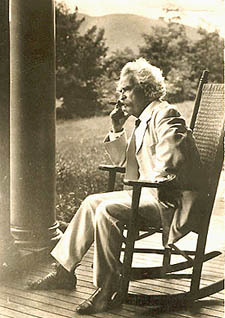 Prominent Guild member and Rutgers University School of Law Professor Arthur Kinoy argued that the role of the radical lawyer was to facilitate the coming anti-capitalist revolution by weakening the law’s ability to function effectively against law-breaking radicals. Future Guild President Paul Harris quoted Lenin in an attempt to make the point that a successful revolution required a “legal struggle” that coincided alongside illegal, militant revolutionary activity. And Doris Brin Walker, the President of the Guild from 1970-71 (who would remark at a dinner held in her honor in 1981 that “It is this commitment [to working class struggle] which makes me so proud to be a member of the Communist Party”, argued that “bourgeois democratic rights” had value as a means of insulating the coming “Second American Revolution ” from government inhibition.